PT Suzuki Indomobil Motor has lifted the cloaks off a new edition of the recently launched Ertiga MPV. 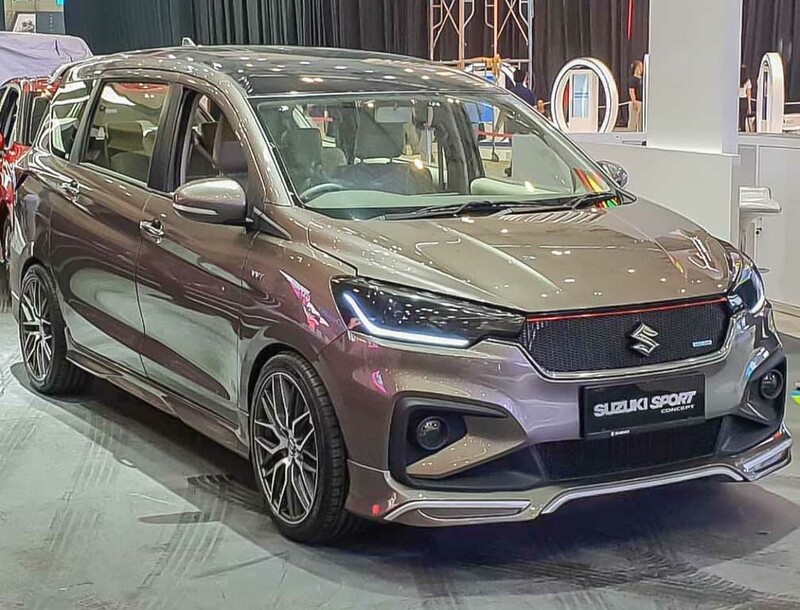 Dubbed the Suzuki Ertiga Sport Concept, it comes with a special body kit and is being showcased at the GIIAS (Gaikindo Indonesia International Auto Show) 2018. The GIIAS show is one of the premiere events in Indonesian auto calendar and manufacturers take up the opportunity to showcase their new creations to media and public. 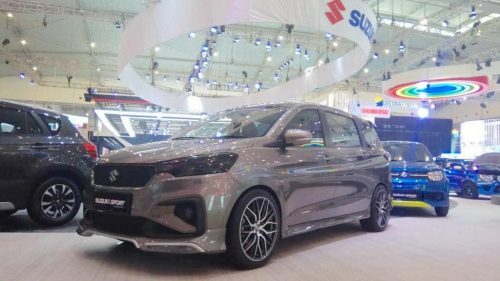 At the opening media day of the show, the Ertiga Sport Concept has graced Suzuki’s stands and it’s right away a stunner to look at. It accompanies Suzuki Sport Swift concept and Suzuki Sport Ignis concept. Based on the upcoming generation of Ertiga that is already on sale in Indonesia, it wears a sporty body kit enabling reduced ground clearance. It comes equipped with smoked headlamp unit, bold 16- or 17-inch alloy wheel design, roof integrated spoiler and underbody spoiler that might efficiently channel air to the rear. Other important cosmetic enhancements are sleek LED Daytime Running Lights, a red line connecting the headlamps on top of the blackened grille, chrome embellishments, etc. The Suzuki Ertiga Sport Concept wears a metallic brown paint scheme and is based on the top-end variant with electrically adjustable ORVMs comprising integrated turn signals. No mechanical changes are expectedly made on the concept as it will continue to use the same 1.5-litre K15B VVT petrol engine with SHVS mild-hybrid technology. The naturally-aspirated four-cylinder unit will make its way to India but before the new-gen Ertiga, it will be found under the bonnet of the facelifted Ciaz launching this month. The engine is good enough to produce a maximum power output of 104.7 PS at 6,000 rpm and 138 Nm of peak torque delivered at 4,000 rpm. It is connected to a five-speed manual or an optional four-speed automatic transmission. The all-new Ertiga is based on a new platform and will make its India debut by festive season. It adorns a refreshed exterior and increased proportions with heavily updated interior compared to the outgoing model.